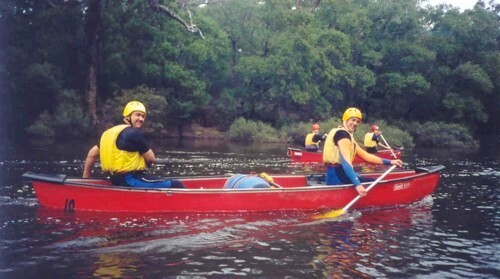 We run canoeing programs on many rivers in the South West. Most popular are trips on the Margaret and the Blackwood Rivers. 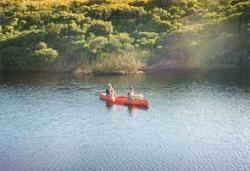 The Margaret River is a beautiful and scenic river that is perfect for a quiet paddle. The Blackwood River is much larger and has a number of rapids to provide a challenge! We paddle up from the river mouth taking in the stunning scenery. Paperbark trees line the river and there is plenty of birdlife. We can stop on the river bank for lunch taking in the peace and solitude. On the Margaret River there is only a very small chance that you will get wet. 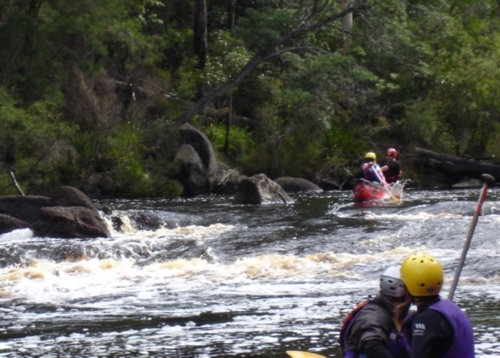 The Blackwood River is a large river and the paddling is physically challenging. There is at least four hours of paddling required. In summer there are few rapids, however, winter months definitely provide excitement! There is a good chance that you will get wet especially in winter. These programs can be as short as a half day, which finishes up in the afternoon. Full day trips and multi-day expeditions with camping out on the side of the river can also be organised. The Deep River is a remote and challenging river which needs a number of days to paddle. Multi-day expeditions with camping out on the side of the river can also be organised. We can organise canoeing programs at numerous sites in the South West and the North West. Rivers such as the Deep, the Frankland, the Shannon and the Warren in the south are popular rivers for canoeing trips. Again programs can be one day or multi-day expeditions. Other sites include Broke Inlet and Lake Jasper, which are large freshwater lakes inland from the Southern Ocean. For those who would like a real adventure we can organise a canoeing expedition on some of the rivers in the North West Kimberley region of WA. 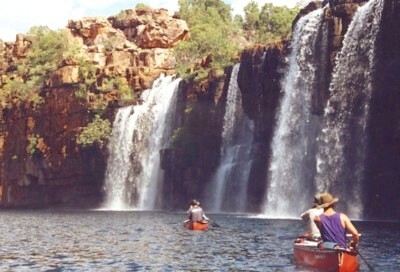 Rivers such as the mighty Fitzroy River, the Hann River and the Gibb and Drysdale River are wild and remote rivers that are hardly ever paddled and in a true wilderness area. Boots or sandshoes that can get wet. Summer - Bathers, shorts and T-shirts are fine. Hat, sunscreen, sunglasses and a spare change of clothes is recommended. Winter - Wetsuits are compulsory and you will need warm clothes to change into afterwards.